Japanese studies at UCLA puts a strong emphasis on the humanities, including popular culture. William Marotti couldn’t believe his good fortune when he was hired in 2006 by UCLA’s history department. Scarcely five years out of graduate school, the scholar was joining three of the Japan field’s most highly regarded historians, including Herman Ooms, Miriam Silverberg and Fred G. Notehelfer, who had led decades of efforts establishing one of the first interdisciplinary centers devoted to the field. But a dispiriting wave of attrition soon followed as two of Marotti’s colleagues retired and a third died. By last year, the authority in post-war Japanese politics and avant-garde culture was facing an inconvenient truth: He was all that remained of his department’s once-vaunted strength in Japanese history. “I’m not a field — no matter how much I eat,” Marotti recalled with a laugh. And the history department was not the only place experiencing losses. Since 2007, the number of faculty affiliated with UCLA’s Paul I. and Hisako Terasaki Center for Japanese Studies has dropped by an additional five faculty. The most recent loss: linguist Shoichi Iwasaki, whom the University of Hawaii successfully recruited last spring. Fortunately, change appears on the horizon. Come this fall, Marotti and his colleagues will return to rising ranks. Not only has a new Japanese specialist joined the history department from Cornell University, but Asian Languages and Cultures has also signed on a new hire whose expertise dovetails with the department’s highly regarded Japanese literature faculty. The strategy behind the fledgling rebirth offers an object lesson for other campus powerhouses battered by the recession and retirements. Dwindling state support in recent years has left UCLA humanities in a position where it is able to fill only one of every three or four vacancies, according to humanities Dean David Schaberg. Rather than replacing departing senior faculty with senior faculty who have the same expertise, departments that have lost Japanese studies scholars are backfilling with prominent junior faculty who have expertise that builds on the university’s existing strengths. Departments are also using new faculty hires to redirect UCLA’s approach to Japanese studies, which took off after World War II and got a boost in the 1980s with the rocket-like rise of the Japanese economy, which attracted students yearning to examine the country’s economy and business culture. Today, students tend to be drawn by anime, manga and other manifestations of Japanese popular culture. Joining the history department will be Katsuya Hirano, a specialist in 17th-to-19th-century Japan who has been on faculty at Cornell since 2006. Born, raised and educated in Japan until graduate school, Hirano studies the connection between politics, culture and the arts during Japan’s Edo period. His forthcoming book “Politics of Dialogic Imagination: Power and Popular Culture in Early Modern Japan, 1750-1890,” which is due in November from University of Chicago Press, seeks to understand why Edo-period shoguns, with their seemingly unrivaled power, tried so hard to regulate the ostensibly unimportant popular culture of the day, including fashion, leisure activities, prints and theater. His early-modern interests thus complement Marotti’s similar investigations of cultural politics in the 20th century. Hirano also is interested in the Japanese colonization of lands originally belonging to the Ainu people, who are indigenous to a string of islands between mainland Japan and Russia. Along with Marotti, Hirano is expected to be especially attractive to students interested in Japanese cultural politics during revolutionary periods. “Together we’re not a giant program, but we’re a coherent and attractive program,” Marotti said. 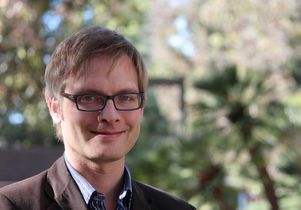 Similarly, Michael Emmerich, a new hire in Asian languages and cultures from UC Santa Barbara, is expected to build on existing strengths in UCLA’s Japanese literature program. He is probably best known for his scholarship on the 11th-century literary classic “The Tale of Genji.” In addition to his expertise on court-centered writing from the period, Emmerich is an authority on Japanese fiction from 1868 onward, including the works of modern and contemporary authors. He also is a prolific translator of contemporary Japanese authors, from Nobel prize winner Kawabata Yasunari to best-selling cult writer Banana Yoshimoto. 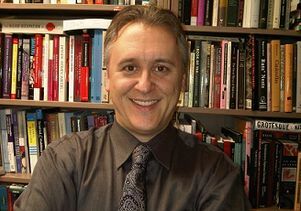 Emmerich’s specialties bridge those of Lippit as well as Torquil Duthie, an assistant professor of early and classical Japanese literature. 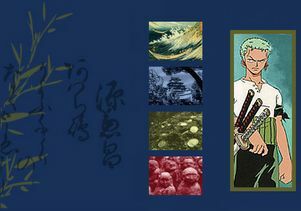 Lippit specializes in the culture and literature of postwar Japan, including mass culture, urban space, minority literature, and representations of decolonization, occupation and the transformation of national consciousness in 20th-century Japan. Duthie specializes in literature from much earlier periods — the seventh to 12th centuries. Learn more about Marotti’s work in the UCLA Today story Tokyo’s Mad Men: New UCLA book explores antics of Japanese avant-garde in 1960s. 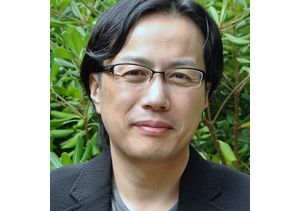 Katsuya Hirano, associate professor in the UCLA Department of History. 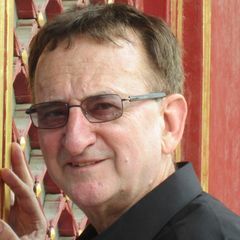 Michael Emmerich, a professor in the UCLA Department of Asian Languages and Cultures.